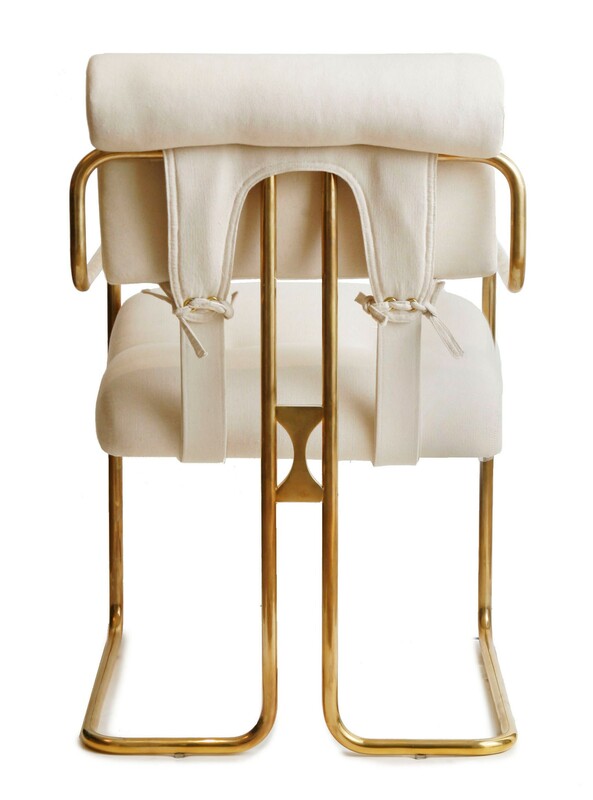 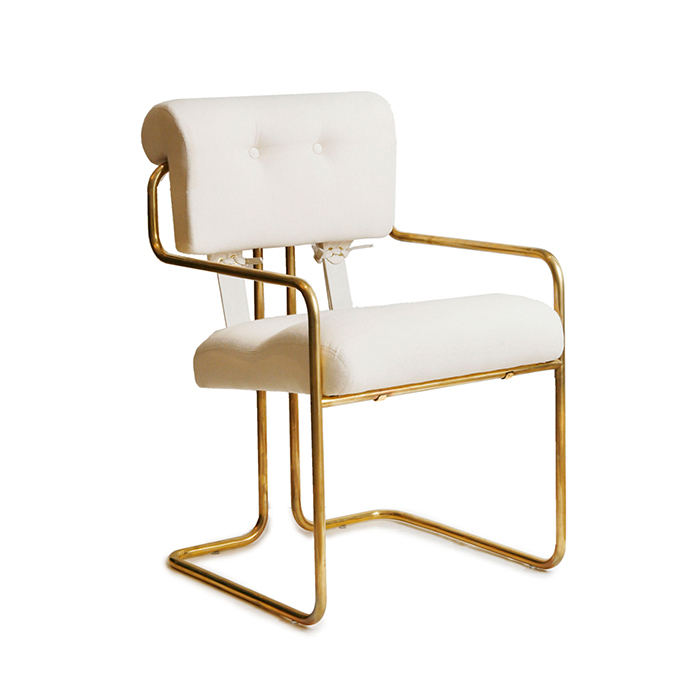 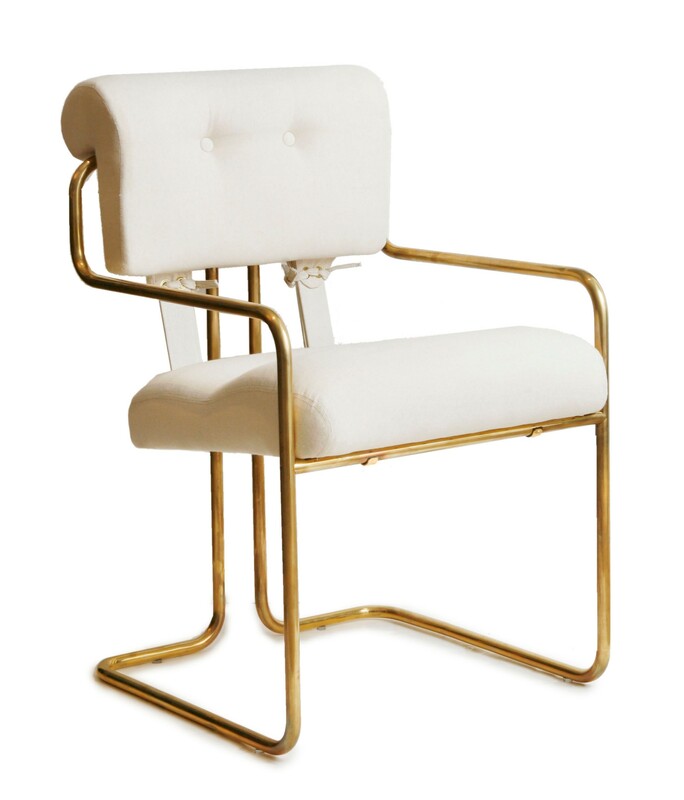 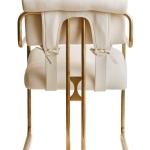 Cantilevered armchair, shown in solid unlacquered brass with muslin upholstry. 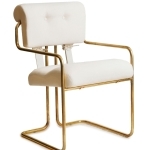 Features tubular frame with upholstered seat and back. 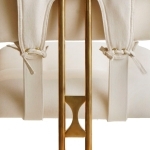 Understated curvilinear design is accented by corset straps with laced detail. 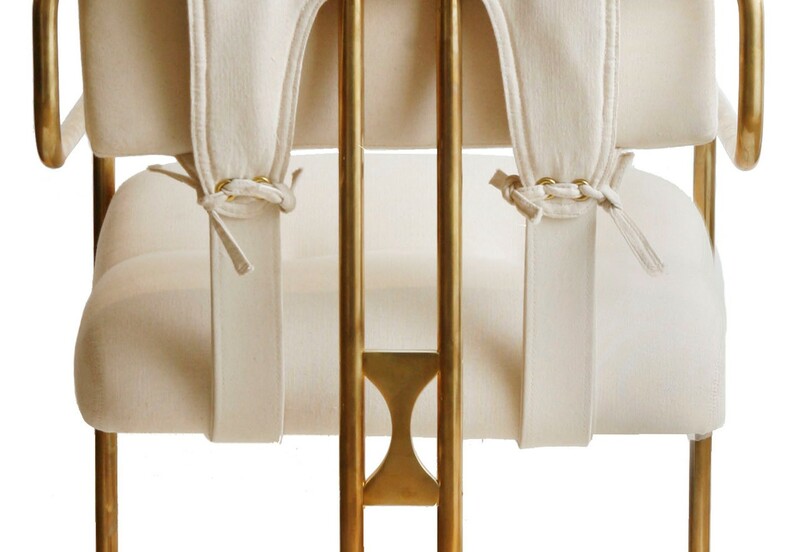 Fabric requirement: 3 yds COM, 68 sqft COL.